I've often likened paint-making to being "like cooking with color," and others have called my studio an "evil mad scientist's laboratory"- so you can imagine my exultation when discovering a collection of raw pigments in glass scientific vessels displayed in the window of D'Alessandro Bizzarri. 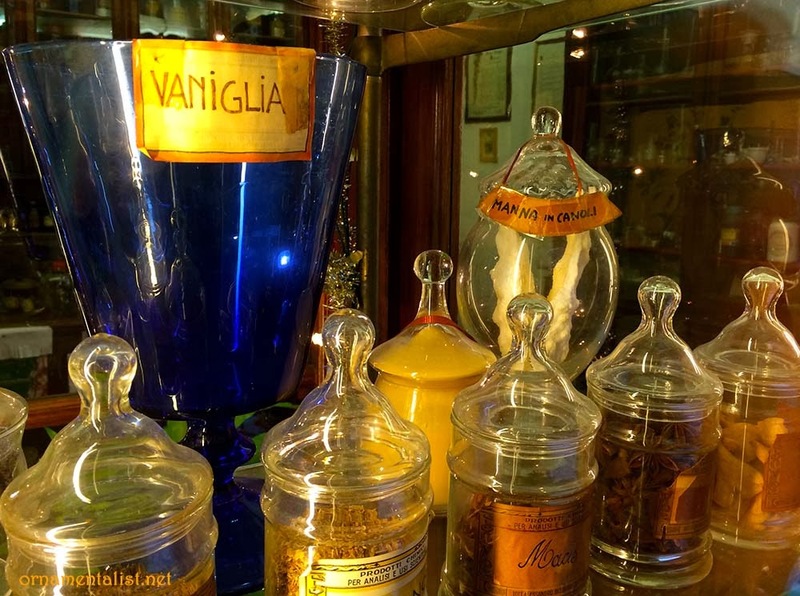 Behind an unassuming 19th-century style facade in the historic center of Florence, this small, dark wunderkammer of a shop is crammed with jars and bottles, and flasks, full of pigment, resins, and acids, as well as rare and remarkable spices, herbs, and oils. 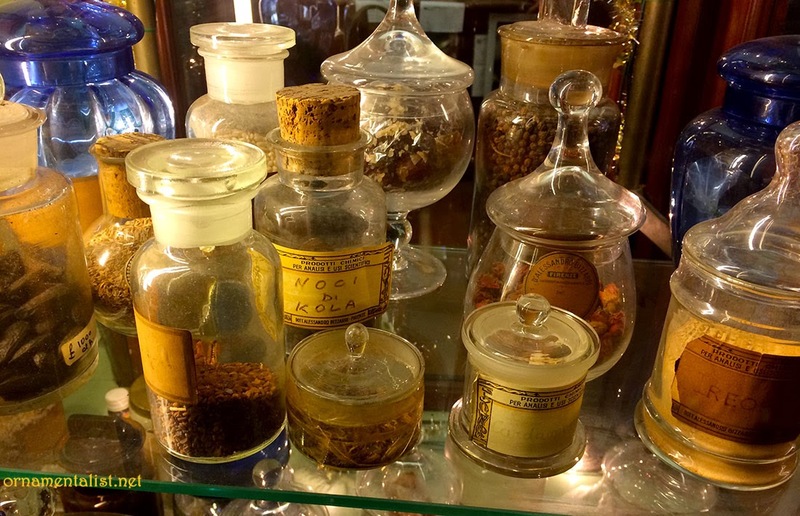 The speziale, or apothecary, is a tradition that dates back to the Middle Ages, when trade in pigments and spices followed similar routes to Florence, and these materials were handled by dealers in peculiar and exotic substances, who understood their uses and power. 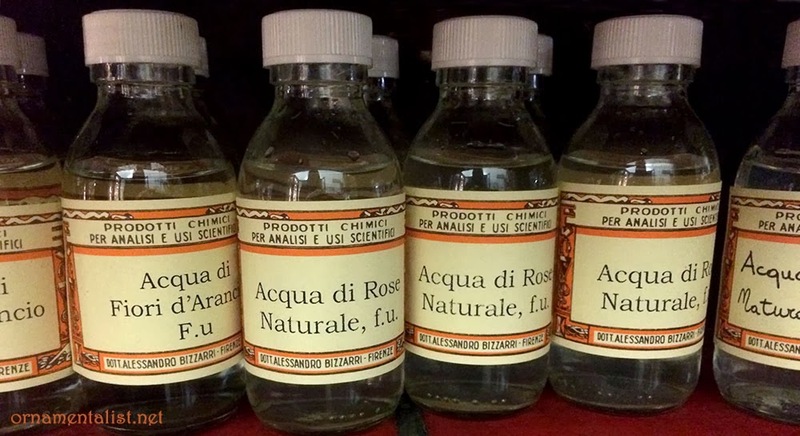 The Arte dei Medici e Speziali, a high-ranking guild in medieval Florence, included pharmacists and physicians as well as painters, who had similar needs for the chemicals and raw materials that could be found in the apothecary's shop. Manna displayed in the window of Bizzarri along with exotic spices. 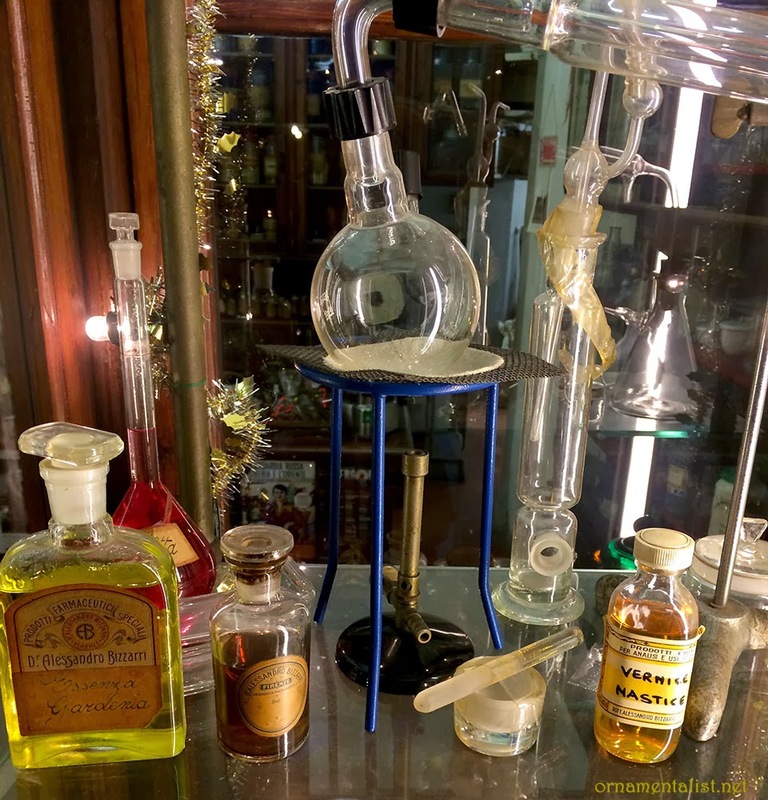 In addition to these essential oils and herbs, there are pigments and resins for making paint, solvents and chemicals for artwork and restoration, and laboratory essentials like beakers, burettes, spirit lamps, and pipettes. 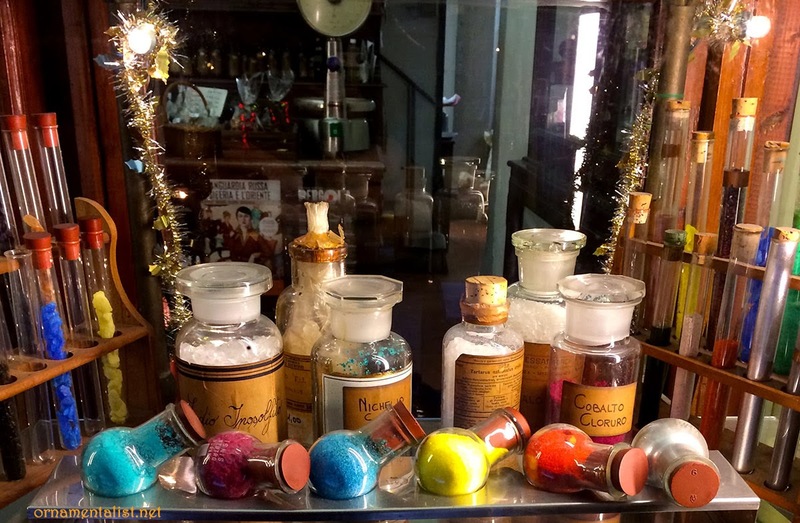 Our colleague Theresa Cheek of Art's The Answer was visiting Florence last week and came away with several particular angled pipettes she uses for her marbled papers, which the proprietors were able to locate quickly deep inside an antique cabinet full of glass scientific equipment. 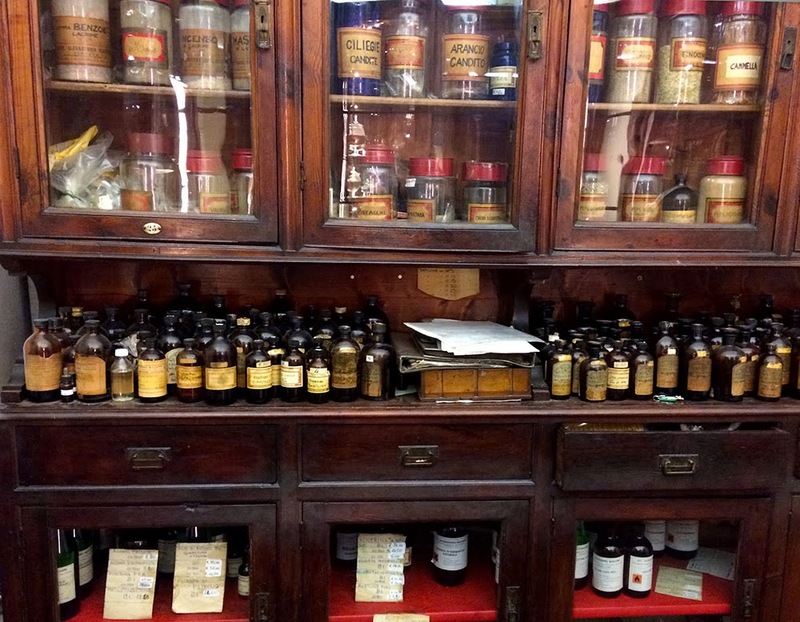 It makes perfect sense to me that if you need a bit of something whether it's gamboge or malachite pigment or some galangal or small measure of arnica, that you seek it in such a place, and ask the advice of a knowledgeable apothecary. An exhaustive list of the speziale products offered can be found on the Bizzarri website. Those are tantalizing photographs, Lynne! The essence of malachite certainly caught my attention! Just discovered your website! Splendid! 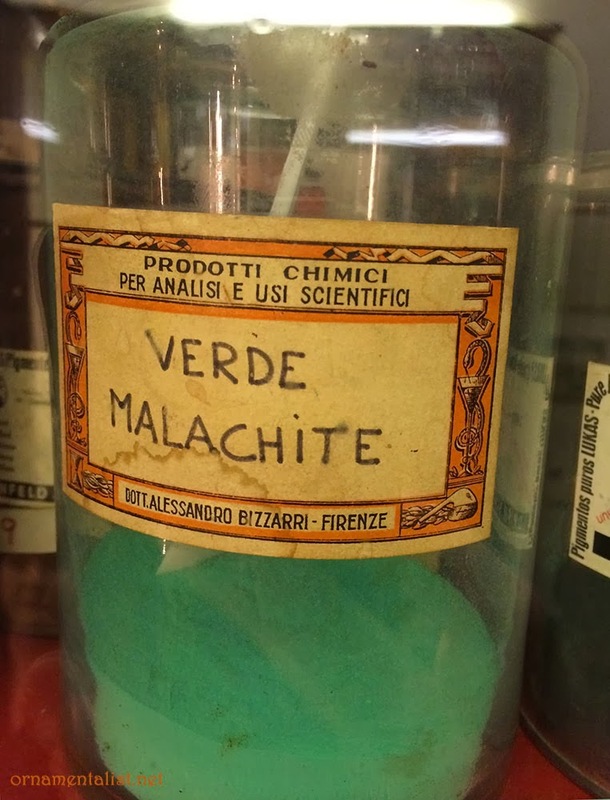 Do you know Zecchi in Florence (artmaterials and ancient pigments)? Via dello studio, very near the Duomo. They have a website and a very goed onlineshop. Have a look at it, it's great. Thank you Lotti! 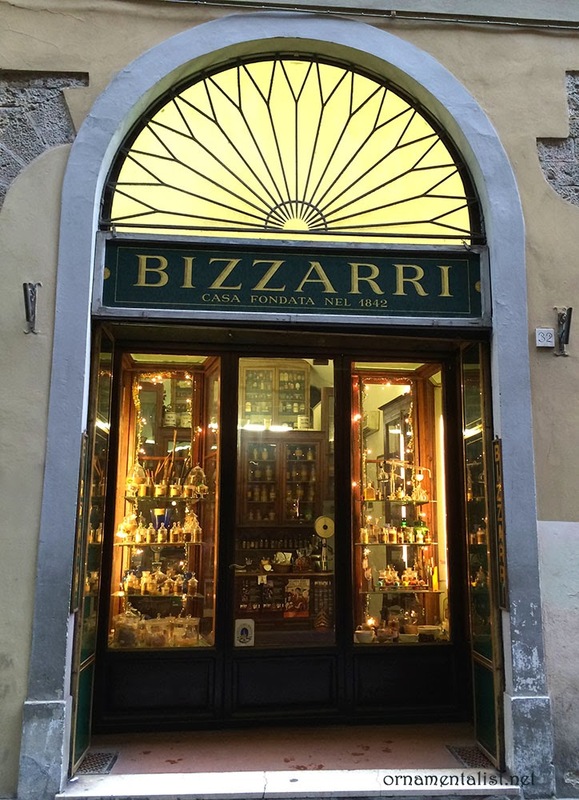 Yes I am staying very near Zecchi and have visited there many times on this and past visits to Florence; it's a great shop! I am so excited to find your blog. I hope to meet you at the Faux Event in Italy. You are teaching there yes?